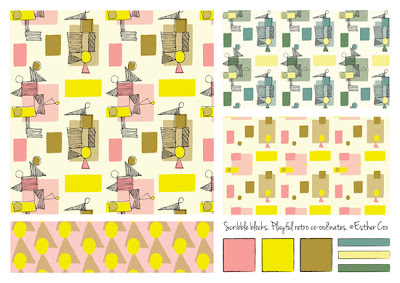 I've been having a go at creating a co-ordinating range of patterns with alternative colourways. It's proved far more difficult than I imagined. Considering how these patterns interact and might be used, their scale and palette, is far trickier than matching socks in the morning! But I think I'm getting there.